Ben takes us through his top picks of wines that are just right for getting the Christmas celebrations started, plus buy a bottle of festive Pizzini fizz or our Christmas mixed wine case and you could win a trip to the Barone Pizzini vineyard near Verona in Italy to see how it’s made! It’s been a year since I was handed the poisoned chalice that is the Riverford corkscrew and I’d like to think that we’ve made good progress – better wines at better prices as you’ll see from the Christmas list. New wines for Autumn and Christmas, available from November, include two very different Sauvignon Blancs. Domaine de Petit Roubié from Picpoul in the Languedoc is medium bodied with typical grass and floral notes. The other, Bodegas Menade from Rueda in northern Spain is elegant, aromatic and fragrant with notes of herbs and citrus peel. Our Christmas special white is a classy Sancerre from the Loire. Domaine Vincent Gaudry’s Le Tournebride ticks all the boxes that have made good Sancerre one of the world’s great white wines; crisp, flinty minerality with classic citrus grapefruit and lemon flavours. Class in a glass. Another highlight is Davenport Vineyards Horsmonden dry white form East Sussex. A winner in the Soil Association 2014 Organic Food Awards, it’s a joy to have a real, quality, English organic wine on the list. Chardonnay is still the most noble of white grapes and by far the best with food. Gilles Louvet ‘O’ Chardonnay is a no nonsense, great value example. Similar to Chablis in weight and character but the Languedoc sun opens it up and makes it far more accessible. Definitely a crowd pleaser, it’s the perfect white wine to pair with rich food on the Christmas table. From the same stable we have ‘O’ Pinot Noir. Winemakers try so hard to stamp their mark on Pinot Noir that often their egos and the grapes’ idiosyncrasies make for a love/hate relationship that can only end in tears. Gilles Louvet Pinot Noir is no such thing. Well made and great value, it’s perfect with the turkey. If you’re more into your Bordeaux, hopefully, Chateau Coursou will float your boat. A traditional blend of Cabernets Sauvignon, Franc and Merlot, it was head and shoulders above the other clarets we tried. Top of the pops on the red front is Montirius, Vacqueyras ‘Le Clos’. From one of Jancis Robinson’s favourite Rhone producers it’s Syrah predominant, full bodied, big and beefy. As close to a Chateauneuf du Pape as we could find, this is definitely one for the goose and Stilton. Last year Pedro Ximénez sherry was touted as being the perfect match for Christmas pudding – not surprising really given that the grapes are dried to an almost raisin-like intensity. We haven’t been able to find any organic sherry but we have come up with a similarly unctuous ‘sticky’ made up the road near Cordoba. Peidra Luenga Pedro Ximémez is a classic deep mahogany colour with intense aromas and a palate of dried fruits, raisins and figs, with notes of chocolate and coffee. Smooth and velvety on the palate, with great length and balance – it’s close to being the most moreish drink I’ve ever had. There’s an equally good Fino made, as is the PX, using the traditional solera ageing system of passing from barrel to barrel leaving a small residue to help age the next batch. Lastly, and definitely my favourite, is Barone Pizzini’s Animante Franciacorta. Franciacorta must be one of Italy’s best kept secrets, a tiny appellation north east of Milan, specialising in sparkling wines using the same grapes and method as Champagne. In a recent FT article on the Champagne and Sparkling Wine World Championship, Jancis Robinson put two Franciacorta fizzes in her top eight (five of the other six were Champagnes). The Animante wasn’t one those but it won gold at the prestigious Sommelier Wine Awards and at £19.99, it bridges the gap nicely between Prosecco and Champagne. It’s got everything Champagne has, including that luxurious, creamy mouthfeel, apart from the name, and it’s half the price. Win a trip to Barone Pizzini vineyard in Italy! 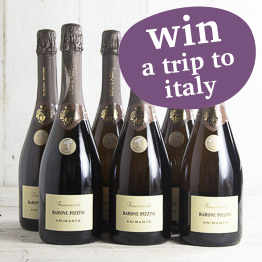 Win an Italian trip for two when you buy a bottle of Pizzini fizz or a Christmas mixed wine case. To enter, simply buy a bottle of Barone Pizzini’s Animante Franciacorta (1 bottle or a case of 6), or our Christmas mixed wine case. Get into the festive spirit with a bottle of our Barone Pizzini animante fizz, or our Christmas mixed wine case, and we’ll enter you into a free prize draw to win a 2 night stay at the Barone Pizzini organic vineyard near Verona in Northern Italy. Franciacorta, near Lake Iseo, is the perfect place for making Italy’s best fizz. Franciacorta is the name of the area, the production method (traditional, bottle fermentation) and also the name of the wine. Barone Pizzini has recently celebrated 140 years since the company was founded. It is one of the oldest wineries in Franciacorta established in 1870. It was also the first winery in Franciacorta to adopt organic viticulture methods. We have limited stocks, so if you fancy some festive fizz and the chance of a trip to Italy, add a bottle to your order now! 1. Holiday includes: 2 return flights from UK to Italy, UK departure location to suit winner, but only subject to approval by Vintage Roots (promoter). Accommodation of a 2 night stay in a minimum 3* hotel near Barone Pizzini Vineyard, near Lake Iseo, with dinner and breakfast. ½ day tour of Barone Pizzini organic vineyard and an Italian lunch, leaving free time afterwards at your leisure. 2. Not included in prize: transport to & from airport in UK, transport from airport in Italy to accommodation. Barone Pizzini representative will collect and return you from your hotel on the day of the tour. 4. Entrants have to buy any bottle (single or multiple) of Barone pizzini franciacorta animante or a Riverford Christmas mixed wine case to be entered into the draw. Products have to be delivered by 31st December 2014. 5. Only one entry per person, multiple bottles do not mean multiple entries. 6. Holiday has to be taken between 1/1//15 – 1/4/15 (excluding half term dates and bank holidays). Provider reserves the right to offer flight and travel in Italy details and refuse travel on very expensive dates. 7. Competition provider is Vintage Roots and Barone Pizzini. 8. Winners will be contacted within 14 working days of closing date. If winners do not confirm prize with 7 days of notification, promoter reserves the right to pick an alternative winner. 9. Riverford is not responsible for lost, late, incomplete or damaged competition entries or data lost due to circumstances beyond their control. 10.Prizes are non-transferable and cannot be exchanged. The winner may not use the prize in conjunction with any other offer, promotion or prize draw. 11. Riverford and its partners reserve the right to substitute stated prize with a similar item should prize offered become unavailable. 12. Judge’s decision is final and no correspondence will be entered into. 14.A list of winners and their areas will be available upon written request from 2nd January 2015. This week Ben discovers a new favourite at brother Guy’s wedding, and finds out a bit more about British wine making. It’s been around for a while but in recent years, it’s come on leaps and bounds and the 2013 vintage is the best yet. I hadn’t tasted it for ages until Davenport’s 2013 Horsmonden dry white slipped up the blind side (and that’s not part of a best man’s speech) at Geetie and brother Guy’s wedding. Several glasses of their fantastic fizz had got the party off to a flying start and it wasn’t until midway through the first course that I noticed that the contents of the glass in my hand were really pretty good. Crisp, dry and aromatic – like a combination of the bride and groom (I confess to still not having given them a wedding present and I wasn’t the best man). It takes Will three years to make the fizz, but the more still wine we buy, the more chance there is of getting a decent allocation of the 2013 vintage when it’s released. That’s the way the wine trade works. Or if we’re really good, fingers crossed, they might just find a few cases of the previous vintage. 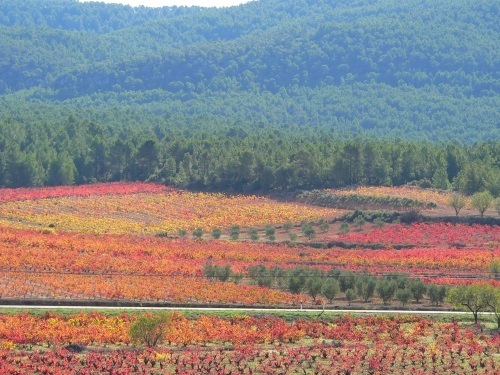 Ben’s wine blog: The wine in Spain comes mainly from the plain and by Jove we’ve got it! Spain, once European viticulture’s poor cousin, land of Don Simon tetrapak and worse, has woken from the dead. 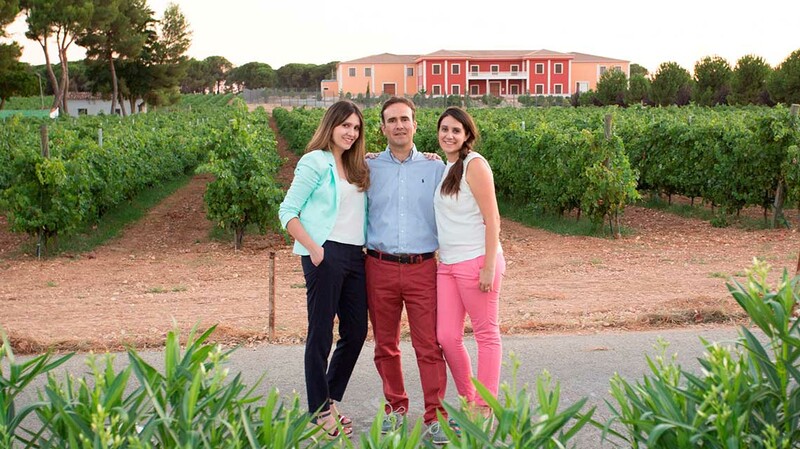 Drive south from Madrid to Granada and you ill still see the industrial stainless steel wineries of Valdepeñas, but elsewhere, in the north and east, vine growing and winemaking has taken giant leaps forward. 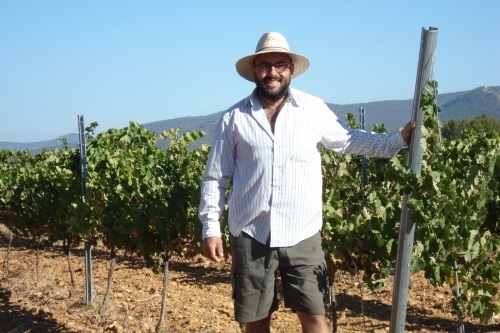 Unheard of regions from Rías Baixas in the North West to Yecla and Jumilla in the South East, are fast upping the ante to compete with old favourite Rioja and sleeping giants; Penedès, Rueda and Ribera del Duero. The land is cheap in Spain, and rather than grubbing up old vines it’s easier to plant new ones. Now many of the old, abandoned vineyards are being restored, and with judicious irrigation, are producing grapes with real character. It might be hot, but it’s also high. Around the south east of La Mancha many of the vineyards are 700 meters plus which makes for near perfect conditions – sundrenched days and cool nights. One of our favourite wines, Marsilea Verdejo, is from the mountains, 900 m above Valencia. It’s the apple of vineyard owner, Sebastian’s eye, cherished and nurtured for years before he got it off the ground. Winemaking the Riverford way. Sebastian’s family came back to Spain after 30 years in Germany. On their return they set up a small business and slowly started buying some of the land around them. It wasn’t long before Sebastian started planting vines, his passion for wine meant he had a clear idea about what he wanted to achieve and a dream that one day he would have his own wine cellar and a wine made by his family. He started out making wines in his garage after studying viticulture. Slowly the business grew, as he tended to his vineyards, in his own words, like they were his children. His respect for the plants and the surrounding countryside meant that farming organically was an obvious choice from the word go. Sebastian’s wine is a great match for fish and poultry but works equally well as an aperitif, with crunchy vegetable crudités and tapas. It’s described as having notes of ‘crisp green apples with soft, creamy, nutty overtones, and hints of honey’, but I’m sure you can make your own mind up. Ben Watson, Guy’s brother, has given our wine range a good overhaul – here’s his blog about the thinking behind the new cohort of gutsy reds and classy whites. 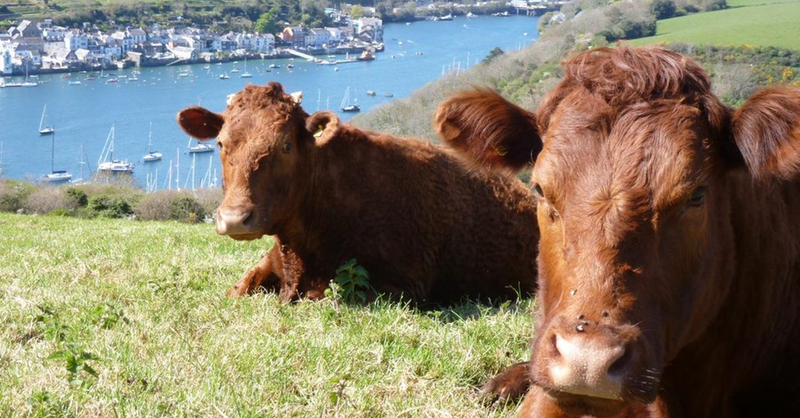 Good wine from good farming might sound a little trite but most organic wine is as much a product of the vineyard as milk is of a cow. Great wines are made in the vineyard and after that minimal intervention is the name of the game. So, with this in mind, and the fact that it’s a natural partner to all things Riverford, we’ve been having a good look at our wine list. Thanks to the chancellor’s avarice value for money lies in the £8-10 bracket so that’s where we have been concentrating our efforts. Once you’ve knocked off the duty and VAT, wine for £7 or less doesn’t offer much value. So far we’ve added six; a very classy white and red from a top producer in Pic St Loup in the Languedoc, a lovely rosé from the southern Rhône, a gutsy medal winning Corbierès and two meat and stew friendly ‘Reserva’ reds from Chile. Top of the pops will be a red and a white from the Marche region of Italy. Wine writers have been ‘bigging up’ Central Italian whites as the next Pinot Grigio and Sauvignon Blanc and the Saladini Pilastri Falerio, a blend of Trebbiano, Pecorino, and Passerino, doesn’t disappoint. Floral on the nose with a touch of mown grass with an apple and herbal flavours, it has good body and acidity and a slight but noticeable bitter almond finish – perfect for vegetable, fish and poultry dishes. The Rosso Piceno is 90% Sangiovese and 10% Montepulciano and spends a month or two in large old oak prior to bottling. This is more than just good quaffing wine – it’s made for Bolognese or a hearty ragù. Once the Italians arrive, we’re putting the new wines (minus the Chilean Carmenere and Rhone rosé) in a mixed case of six for a bargain £44.75 (20% off on deliveries from 4th November). As a keen, but not particularly good, cook I’m always looking for ways to make things easy. Ready-mixed seasonings seemed like the way to go, but everything I bought was either unpleasantly bland and salty or sweet and vinegary – the flavour was controlled by the method of preservation. Caught between that, and unidentified half-used packets of spices losing their flavour in the back of the cupboard, I started making my own ‘compound’ sauces to keep in the fridge. I’ve always had a weakness for an English pub curry (like my mother used to make), so the Captain’s masala paste was my first foray into a homemade version. Lo and behold, it also made great kedgeree and coronation chicken (and even turkey at Christmas). A bit of Moroccan/Maghreb heat is always good but every harissa paste I bought was red hot. I wanted the mint, caraway and cumin with a milder heat, so I started making my own and, again, I couldn’t believe how versatile it was. Soups, tagines, meatballs, salads and marinades – all were improved by a judicious tablespoon of herby harissa. You can add it to virtually anything but I like it best with chicken in this recipe: Chicken, Chorizo, Chickpea And Butternut Squash. It just won’t go wrong. Our sweet chilli sauce has been around for ages. It’s a great dip, marinade and ingredient. Mix a couple of tablespoons with soy sauce, miso and stock and you’ve got a broth for soups, – meaning dinner is five minutes away; just add noodles, julienne vegetables and meat. It’s the sort of thing you actually want to find in the back of the cupboard. Our new Riverford pastes & spices are all a good, easy way to jazz up your supper – even the ketchup has a bit of spice as well as the obligatory tomato, sugar and vinegar. The ketchup is as good an ingredient in cottage pie as well as on a burger. The beer mustard works as well in a beef carbonnade as a ham sandwich – if you do decide to try one we’d love to hear what you think, either comment here or send us an email, we always like to hear what you have to say.